The Talented Mr. Rockefeller – Sapient Investigations, Inc.
Christian Karl Gerhartsreiter duped Wall Street and East Coast social circles for years with his charm and lies. But he couldn’t talk his way out of a California murder. 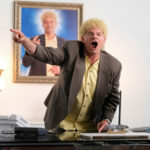 The epic saga of Christian Karl Gerhartsreiter, the imposter who posed as an heir to the Rockerfeller fortune and ingratiated himself into East Coast high finance and blue blood social circles finally came to an end on April 10, when a Los Angeles jury found him guilty of first degree murder for the 1985 killing of Jonathan Sohus in the upscale bedroom community of San Marino. 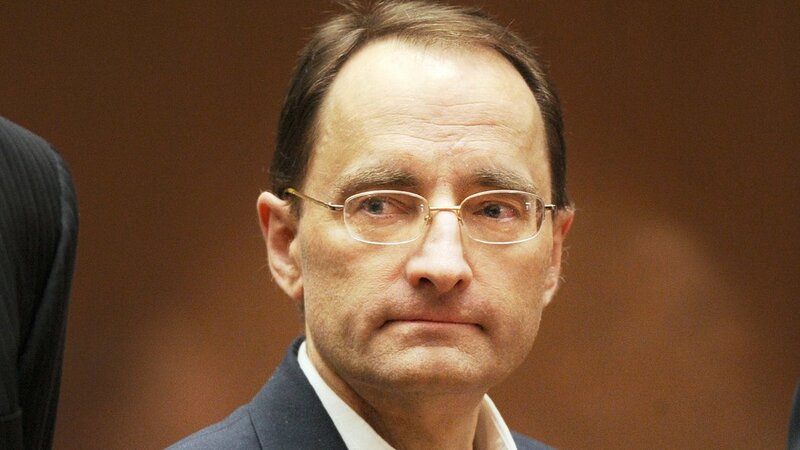 As Gerhartsreiter, most famously known as Clark Rockefeller, awaits his fate at sentencing for apparently bludgeoning Sohus to death, wrapping his head in a tote bags from University of Wisconsin (where Gerhartsreiter attended classes) and burying him in the backyard. Two true crime books are already on the stands and a Hollywood feature film is in development about Gerhartsreiter’s life and crimes. Perhaps more compelling than the salacious details of Gerhartsreiter’s murders, though, is how an unremarkable immigrant from Germany was able to pull off a series of audacious frauds for over nearly two decades. Beginning in the mid-1980s, Gerhartsreiter literally talked his way into jobs at a series of Wall Street firms, married a high-powered management consultant and got himself elected to the board of Boston’s exclusive Algonquin Club. Gerhartsreiter’s story illuminates the vulnerability of even the most conservative financial institutions to determined grifters and con men and underscores the need for vigilance when conducting due diligence on the people one hires and do business with and, in some cases, marry. 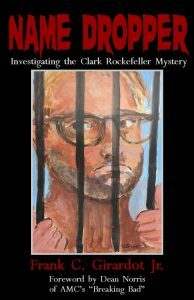 Veteran Los Angeles journalist Frank Girardot’s takes a deep look at Gerhartsreiter’s pathologies in his new book Name Dropper: Investigating the Clark Rockefeller Mystery. Girardot came to understand that Gerhartsreiter succeeded by combining the key attributes of a successful con man. After the bloody episode in San Marino, Gerhartsreiter moved to Greenwich, Connecticut and starting introducing himself around as Christopher Chichester Crowe, a descendant of British aristocracy. It was not long before he had hustled a position at securities broker S. N. Phleps & Co. in the Information Technologies department. Gerhartsreiter apparently made entrée at S. N. Phelps through a woman he met at the Indian Harbor Yacht Club and started dating, according to the book The Man In The Rockefeller Suit by Mark Seal. The woman was a vice president at the securities firm at the time. Still, getting the job was no easy assignment for Gerhartsreiter. According to Seal, he had prevaricate his way through an interview with Stan Phelps himself — a man generously described by Forbes as ‘one of the toughest and meanest’ operators in the bond business — and had to pass a grueling series of tests, including the SEC’s Series 7 Stockbroker Exam and the Series 63 Uniform Securities Agent State Law Exam. The Series 7 test is a six-hour, 250-question examination. Gerhartsreiter was able to keep the ruse going at S. N. Phelps for the better part of a year, though employees noticed he would quickly hide his computer screens when someone walked into his office. But his con game unraveled when a Phelps, suspicious about the data being produced by Gerhartsreiter, demanded access to Gerhartsreiter’s computer and the imposter refused. He was fired on the spot. While some stock and bond traders are able to parlay dismissal into more lucrative positions on Wall Street-Gerhartsreiter may be the first one to do so without a real resume. In July of 1987 Nikko Securities announced ‘Christopher Crowe’ would be leading its newly created corporate bond department in New York. Nikko crowed in a press release that Crowe had previously run ‘the Battenberg-Crowe-von-Wettin Family Foundation.’ In reality, no such foundation ever existed. But despite the warning signs, Gerhartsreiter had talked his way into a six-figure gig with a spacious office and had become a fixture on the well-to-do social circuit that stretched from Broadway openings to the finest eateries in Manhattan. Gerhartsreiter’s blowout at S. N. Phelps finally caught up with him at Nikko, where apparently he had started dating one of the corporate translators in part to monitor the activities of the firm’s Japanese management. According to Seal’s book, Stan Phelps himself called a Nikko executive and informed him that Gerhartsreiter had used the Social Security number of David Berkowitz, the notorious ‘Son of Sam’ serial killer that had terrorized New York City in 1977, while working at his company. 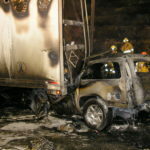 The executive passed the information up the chain of command and was told management would look into it. Amazingly, however, Gerhartsreiter remained employed in Nikko’s Manhattan office for another six months before he was finally fired. Gerhartsreiter, however, was unbowed and simply walked down the street to the investment banking offices of Kidder, Peabody & Company (which would later be ultimately absorbed into UBS) and again literally talked his way into another job. According to the former Goldman Sachs executive who hired Gerhartsreiter at Kidder, Peabody, Christopher Crowe came across as adroitly erudite and yet not overtly pompous or pretentious. Once again, Gerhartsreiter was hired as a Euro Bond salesman with virtually no background screening or reference checks. The company wasted no time sending him on a business trip California where apparently he performed well and closed a deal. “We didn’t do a background check because we never got that far,” the Kidder, Peabody executive later said. Within a few weeks, the executive was contacted by an S.N. Phelps’ vice president who heard Gerhartsreiter had been hired there. A few hours later a police detective called and informed him that ‘Christopher Crowe’ was being sought for questioning in connection with a missing persons case in California. It appears that Gerhartsreiter was tipped off to the police inquiry because he called in sick the next day. Soon afterwards, he requested an extended leave of absence claiming, outlandishly, that his parents were in danger and on the run from foreign agents. And with that, the man on Wall Street named Christopher Crowe simply disappeared, narrowly missing a brush with the law before evaporating into thin air. Gerhartsreiter soon metamorphosed into Clark Rockefeller. For the better part of the next twenty years, he played the role of an heir to one of America’s most noted Industrial Era barons, seamlessly creating a fictional narrative that would grant him further entrée to a world of privilege and prestige. “People didn’t ask too many questions (about his background) because they figured as a Rockefeller he could help them advance their careers,” Girardot said. Shortly after Gerhartsreiter assumed his Rockefeller persona he met Boss through a party he hosted in Manhattan based on the board game Clue. She arrived as Miss Scarlet. Gerhartsreiter played Professor Plum. Pouring on the charm, Gerhartsreiter skillfully courted the Stanford alum and Harvard Business School graduate and wove tales of being a Rockefeller scion who had had a falling out with his family. In 1995 the couple were married in a quaint Quaker service. The choice was revealing, since neither Boss nor Gerhartsreiter were Quakers. But since the religion doesn’t require legal documentation or a license to conduct the ceremony and Gerhartsreiter never filed the necessary paperwork to record the marriage with the state that would have made it official-in short, they were never married. Boss, an ambitious executive, was already ascending into senior management at McKinsey and earned more than $1 million annually, an income that must have seemed like a heavenly production budget to Gerhartsreiter, one that provided him not only a means to no longer work but afforded him nicer props and sets to stage his fictional life story and dramatically expand it. With Boss’s resume and bankroll supplementing his own fictional pedigree, Gerhartsreiter wasted little time ingratiating himself into upper-crust society circles, reaching the pinnacle by being admitted to the hardwood splendor of the Algonquin Club of Boston, where he eventually became a board member of the 127-year-old exclusive Old Money club founded by legendary Boston Globe publisher Gen. Charles H. Taylor. He remained on the club’s board until 2008. Boss has since testified that it wasn’t long after they were married that Gerhartsreiter’s charming character began to dissolve into a far less appealing personality, one that was punctuated by a clear intent to avoid working and an ever-growing set of rationales as to why he had to keep his name off of virtually anything that would be traceable, from bank accounts and utility bills to the couple’s tax returns. He also refused to travel to Connecticut or California. After airline security spiked dramatically in the wake of the September 11 terrorist attacks, Gerhartsreiter stopped flying altogether. In what can only be described as every con man’s nirvana, Gerhartsreiter literally stayed at home while Boss went to work, doing whatever he fancied from one day to the next on blank checks that his wife had pre-signed. 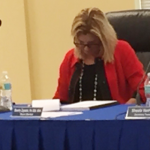 By 2006, Boss had finally reached her limit with Gerhartsreiter’s surreal behavior and hired a private investigator to confirm the basics claims of his life story. It didn’t take long before she received the report that he was not, in fact, a Rockefeller. Perhaps more disturbing, it was unclear just who her husband was at all. Boss filed for divorce in 2007-only to learn they were never really married- and worked out a fairly generous settlement for Gerhartsreiter; a lump sum payment of $800,000 in gold and supervised visits with their daughter. And though Boss knew by this time that Gerhartsreiter was surely no Rockefeller, she apparently agreed to keep that little secret under her hat, perhaps as a result of a non-disclosure agreement attached to the settlement. Instead of walking away flush with a bankroll sufficient to continue his life as a faux Rockefeller, Gerhartsreiter made a dramatically reckless mistake. Perhaps fueled by hubris spawned by years of successful cons as well as by the bitter spite at Boss for daring to investigate his past, he snatched their daughter during one of the supervised visits, apparently with the belief that he could begin his life anew with her in tow. Prior to absconding with his daughter, Gerhartsreiter had told friends that he owned a 72-foot yacht and authorities were concerned that following the kidnapping he was going to sail into the Caribbean with his daughter. But in reality, Gerhartsreiter’s the yacht was a 26-foot catamaran and he was not sailing off to Bimini, but rather it was moored in a marina outside of Baltimore. When Gerhartsreiter was later caught and booked on the kidnapping charges by Boston police in 2008, he continued to identify his mother as the actress Carter, who appeared in films such as “The Two Mrs. Carrolls” and “Curse of the Cat People.” Carter told the Boston Herald that she is not the killer’s mother and that she felt sorry for his actual mother Irmgard Gerhartsreiter, a seamstress who hadn’t seen her son since he left West Germany in 1978. The kidnapping brought in the FBI and set into motion a chain of events that would finally unravel the long con of Christian Karl Gerhartsreiter, a vast lie woven in many patterns over three decades that fooled an elite circle of people whom, ironically enough, are thought to pride themselves on the exclusive nature of their requirements for entry.